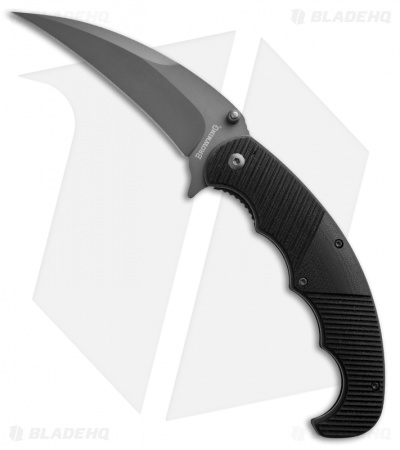 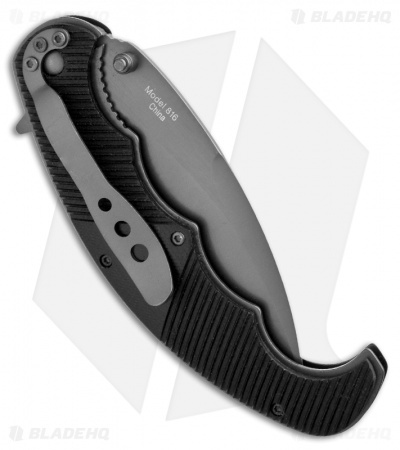 The Browning Black Label Karambit folder features G-10 scales over bead blasted stainless steel liners. The hawbill stainless steel blade has a bead blast finish with a plain cutting edge. Open with the ambidextrous thumb studs or use the integrated flipper/guard. The Karambit includes a tip-down pocket clip.